While a lot of alternative lenders lend against assets like stamp collections, Beatles memorabilia, 18th century dictionaries and Fender classic guitars, a lot of people prefer to invest in cars in this tough economy. 1. 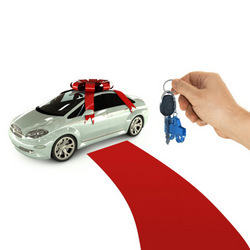 If you have a car, you can take out a loan against car as it’s an easy and convenient way to get the required sum without the endless flow of red tape. 2. Financial experts state that pawnbrokers are quite a cheap way of raising money with no need to go through credit checks. 3. Shop around before choosing a pawn broker to ensure the interest rates are fair. 4. Try buying assets that tend to increase in value over time such as works of art, jewellery, antiques, precious metals, etc. 5. If you have some money to spare, invest in assets that generate regular income such as stocks, shares, buy-to-let and intellectual property. 6. Invest in valuables that may help you earn some money such as laptops, tablet computers, software or tools. 7. Borrow money to buy a car if you need one for work. With Hyundai Motor Co. now providing auto loans, you can opt even for a high-end model. 8. Looking for assets to invest money, avoid those that quickly decrease in value such as cars and gadgets that lose their value as new models are introduced. 9. Have a savings plan and stick to it. Try to set aside 5 to 10% of your income before you start paying bills. 10. Review your insurance to make sure it covers your assets and income in case of emergency. Paul Aitken, head of a lending company, said, “Individuals and small businesses are still looking at alternative ways of raising money to help pay for unexpected financial situations – tax bills, or business cash flow issues, for example. Unlocking the value of unique and unusual assets could be the solution”. To obtain financial safety in 2013 or right now, work with a professional financial advisor. Good tips for the most part although you have to be careful of title loans as in Item #1 because they can be very expensive to secure. You definitely want to make sure you're financially secure as we enter a new year. This is especially important as the new (or continuing) executive branch remains in power.